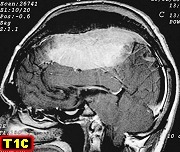 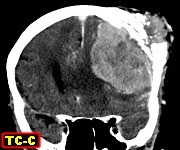 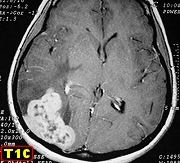 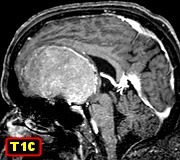 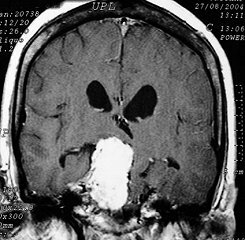 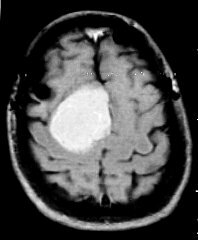 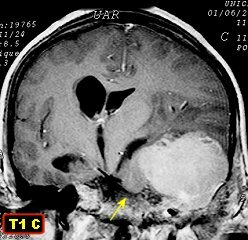 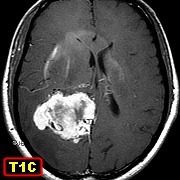 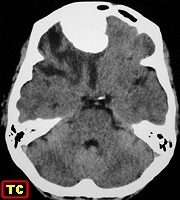 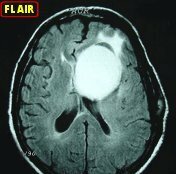 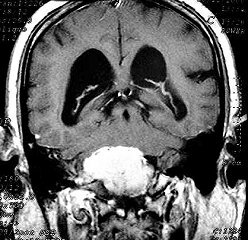 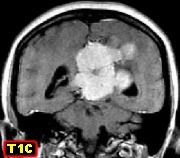 Microcystic meningioma of falx Atypical meningioma. 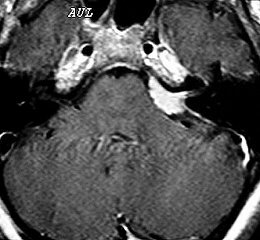 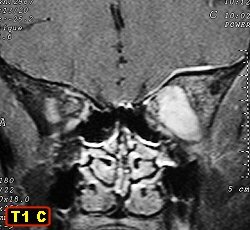 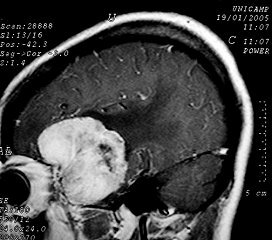 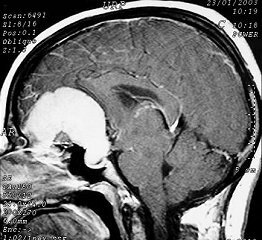 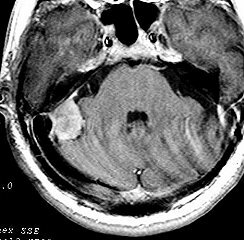 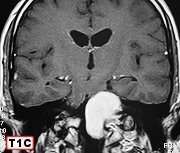 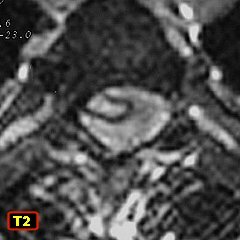 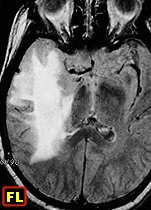 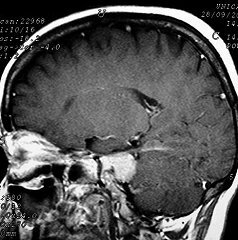 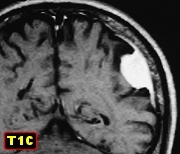 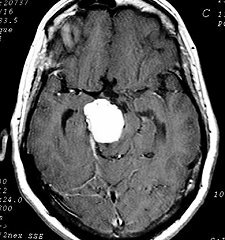 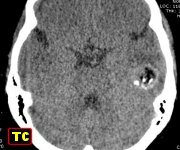 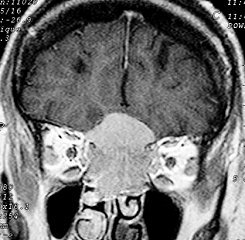 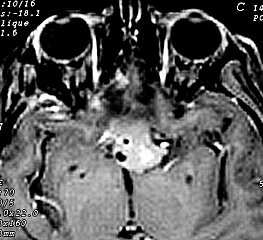 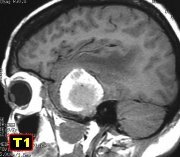 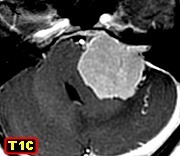 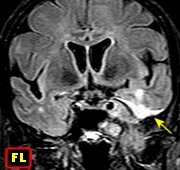 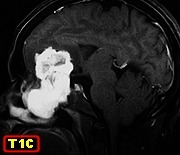 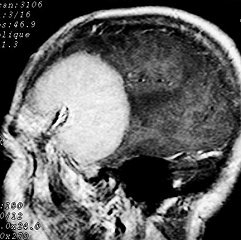 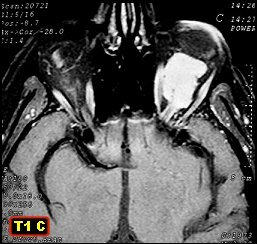 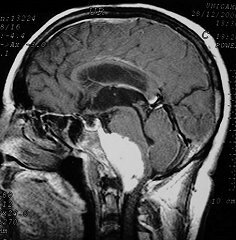 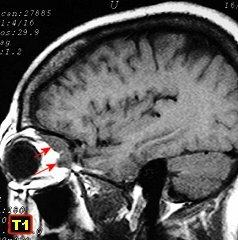 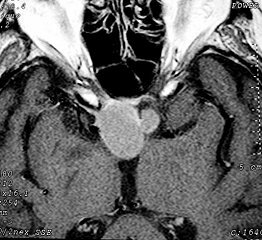 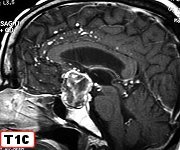 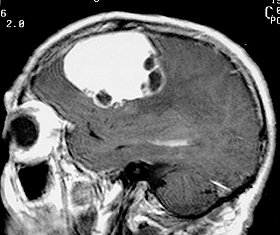 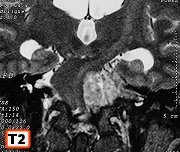 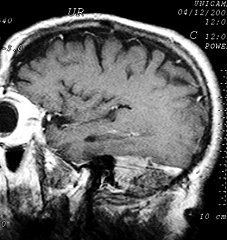 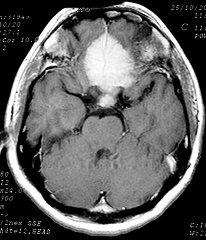 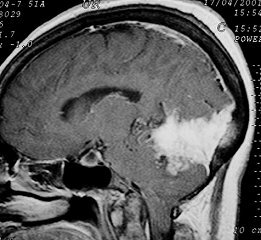 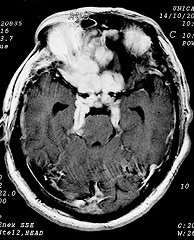 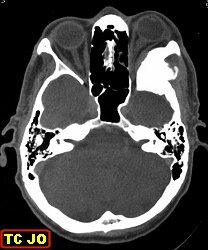 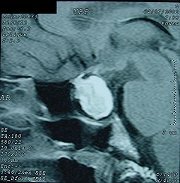 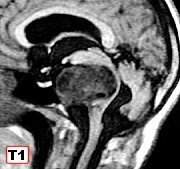 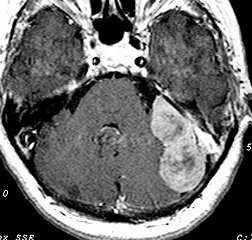 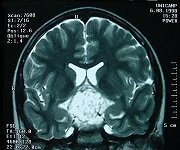 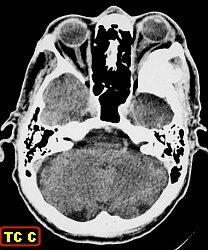 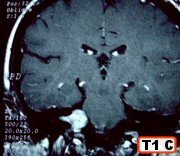 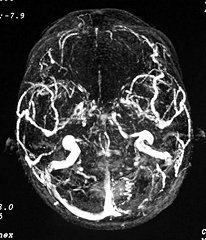 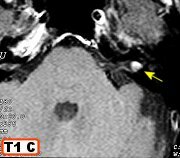 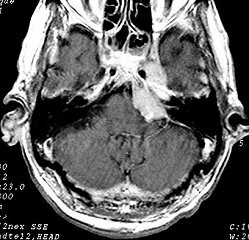 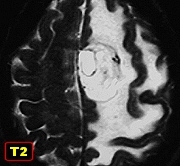 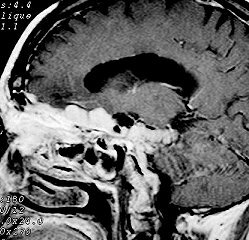 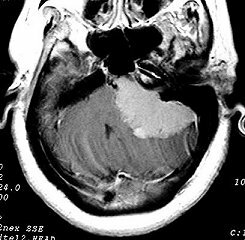 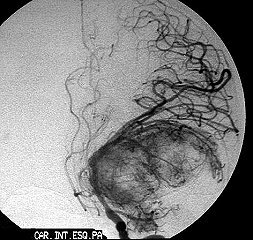 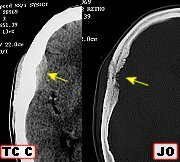 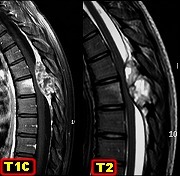 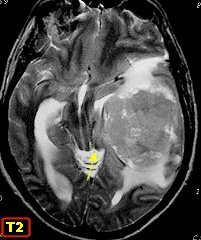 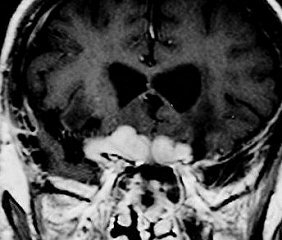 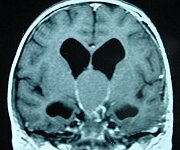 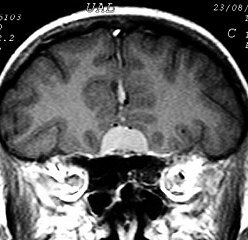 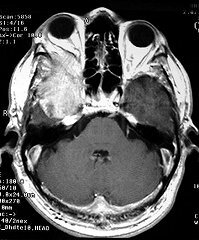 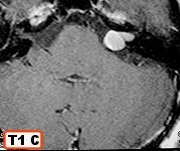 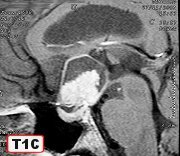 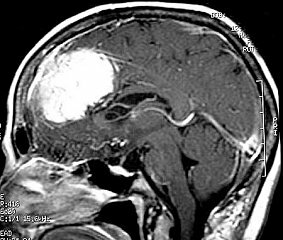 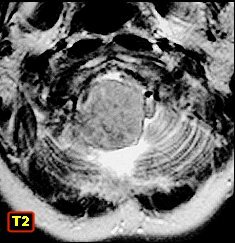 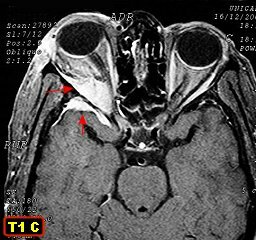 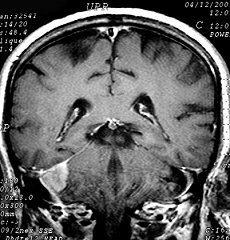 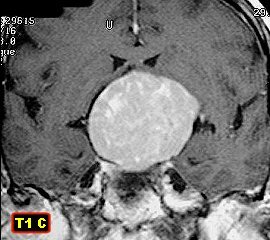 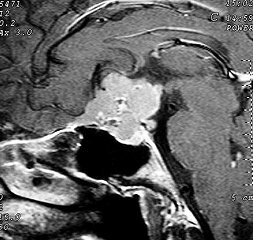 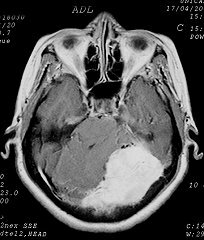 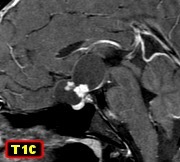 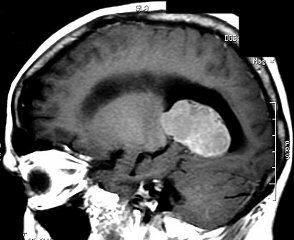 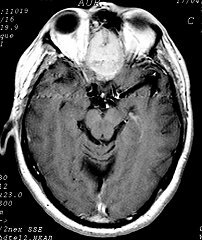 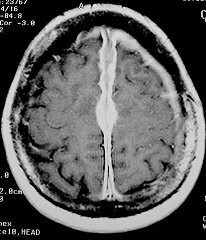 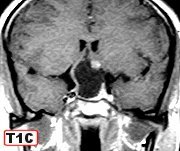 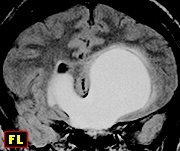 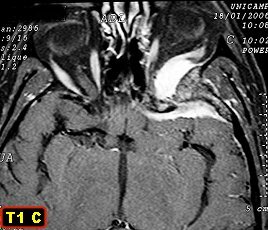 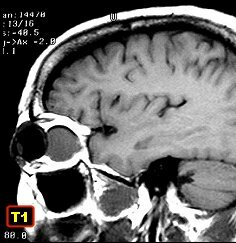 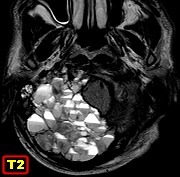 10-year follow-up Meningioma originating in middle ear Same, intracranial extension after 4 years. 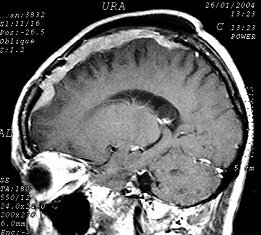 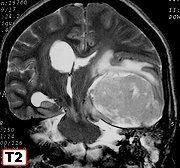 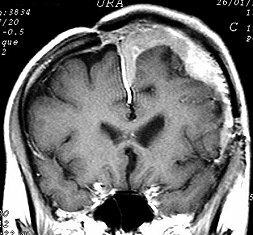 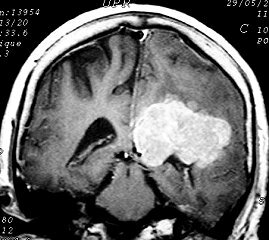 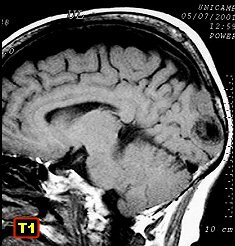 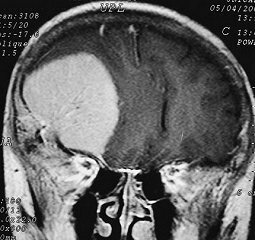 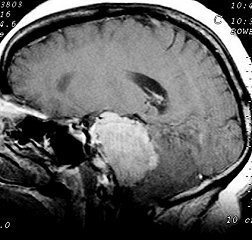 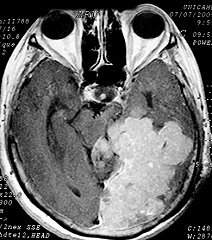 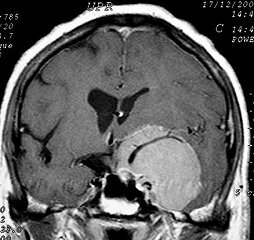 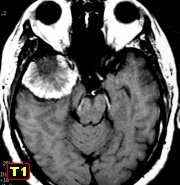 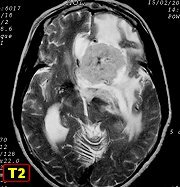 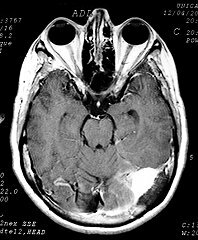 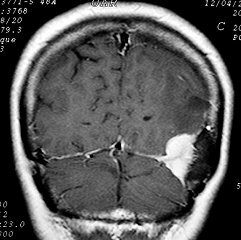 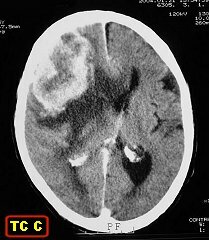 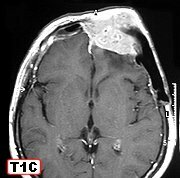 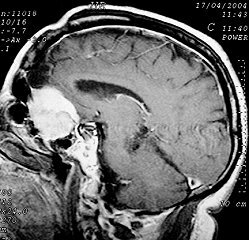 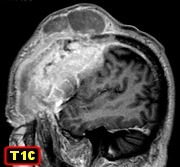 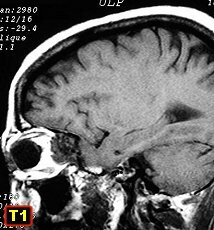 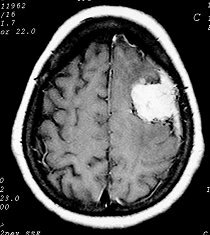 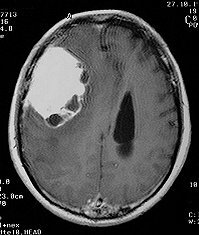 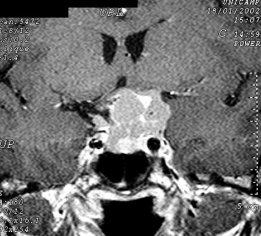 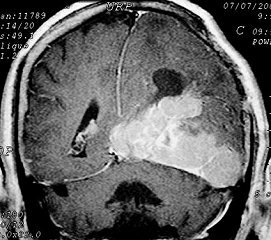 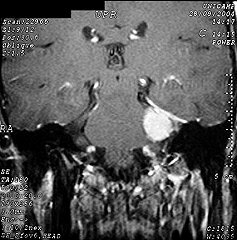 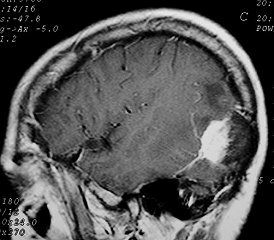 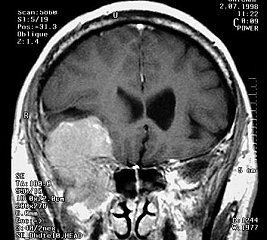 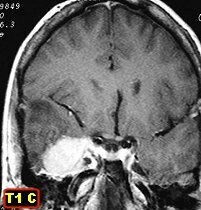 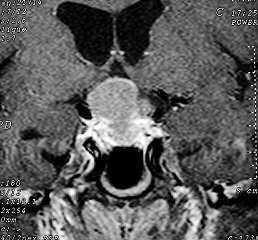 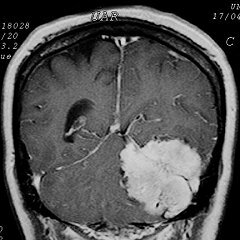 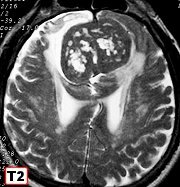 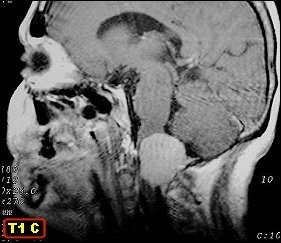 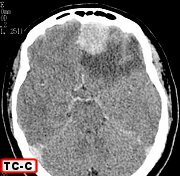 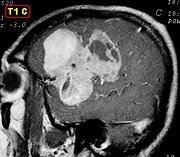 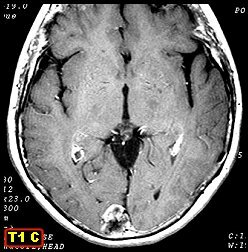 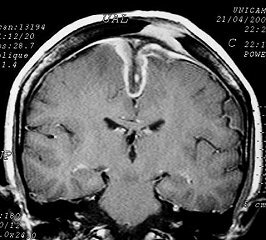 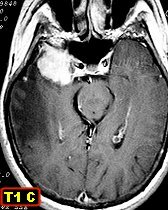 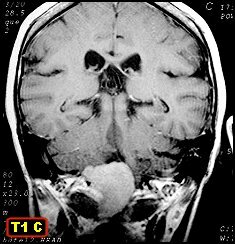 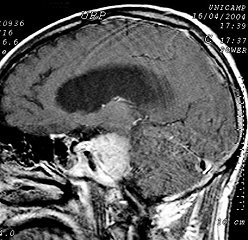 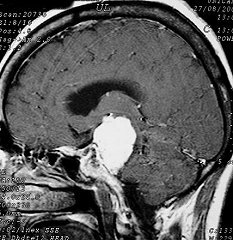 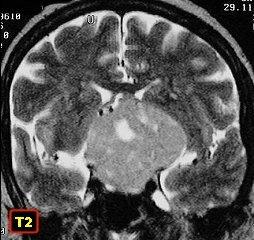 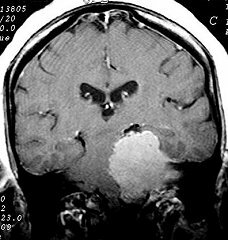 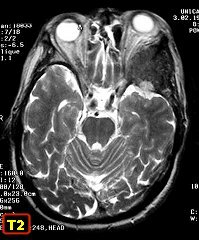 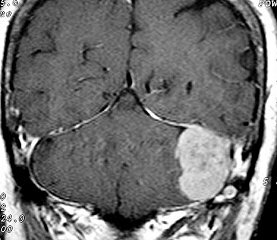 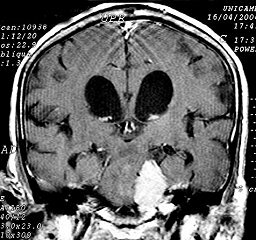 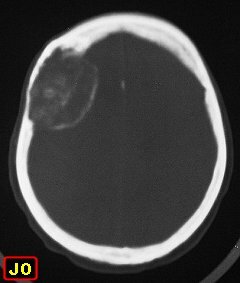 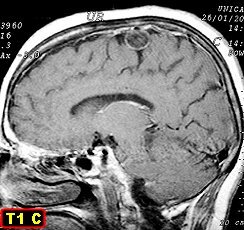 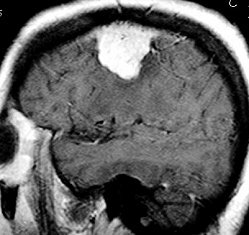 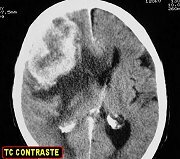 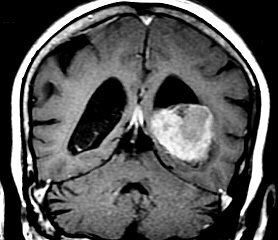 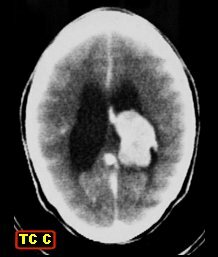 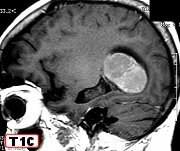 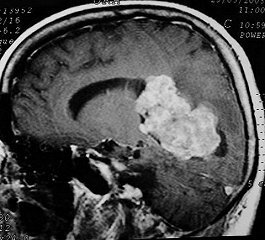 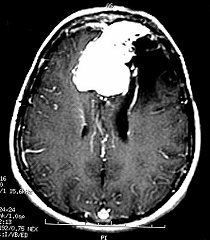 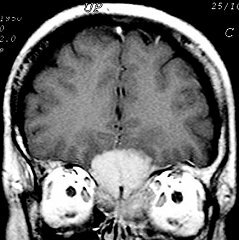 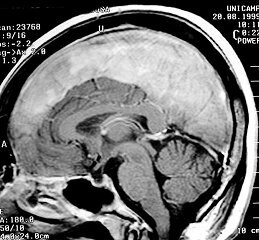 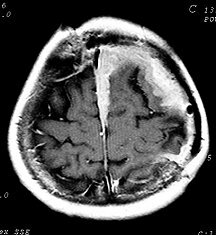 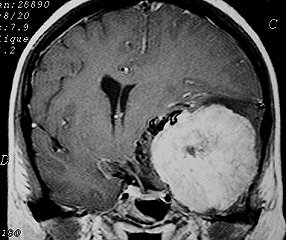 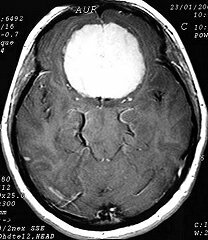 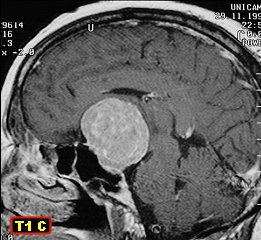 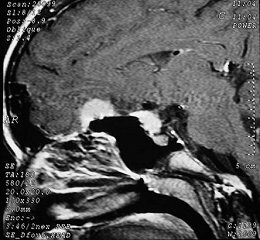 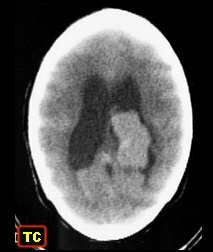 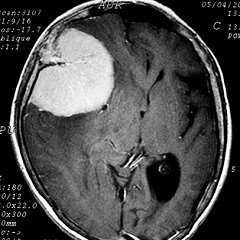 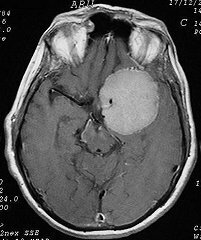 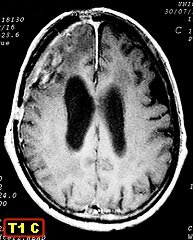 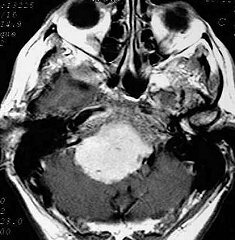 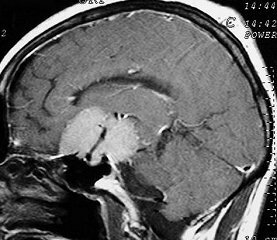 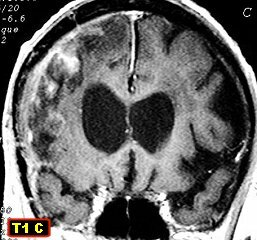 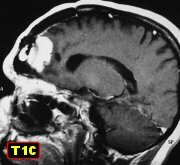 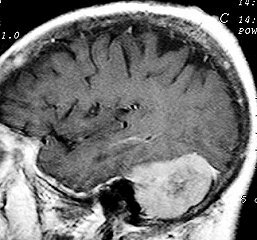 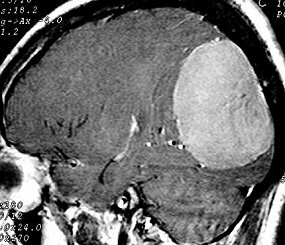 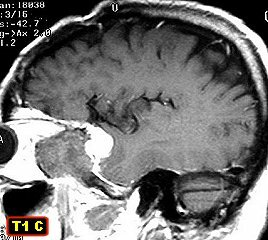 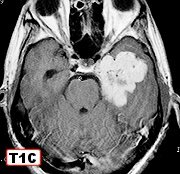 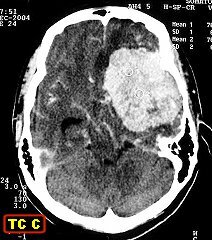 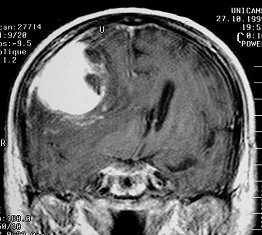 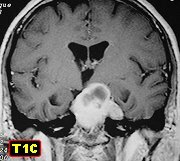 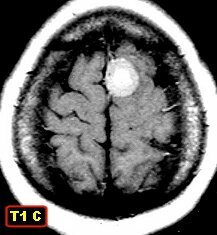 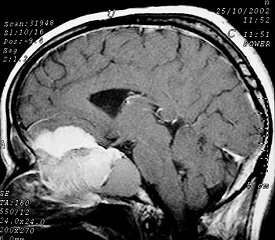 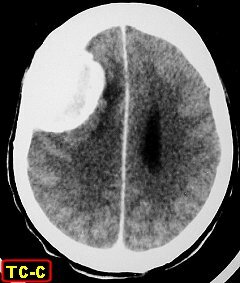 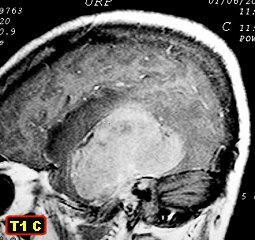 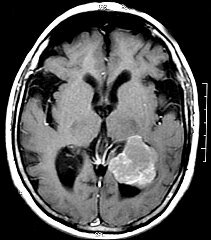 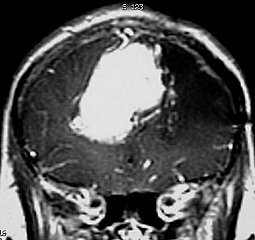 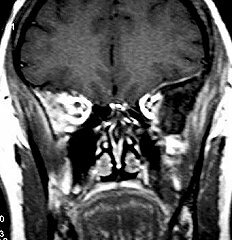 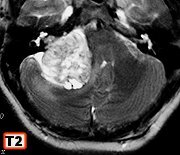 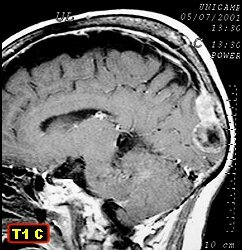 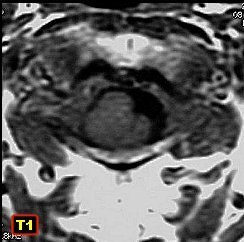 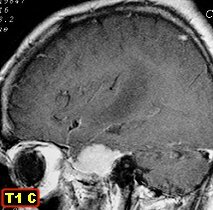 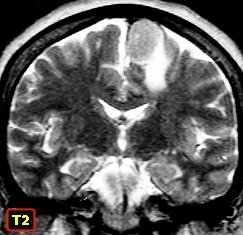 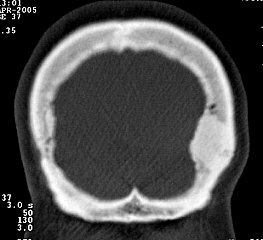 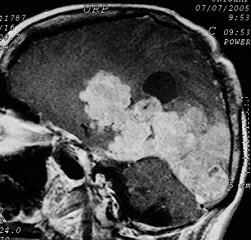 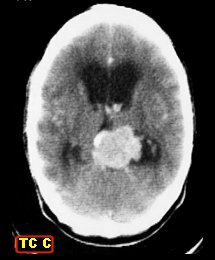 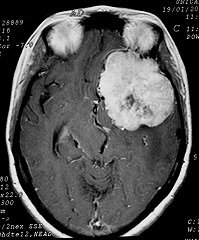 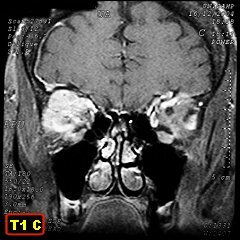 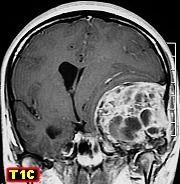 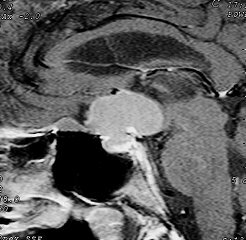 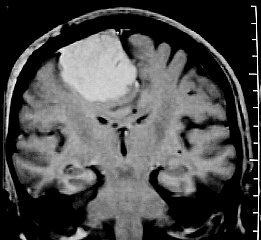 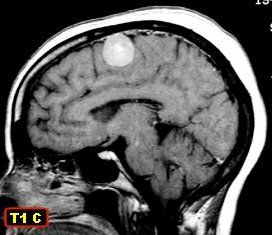 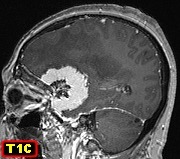 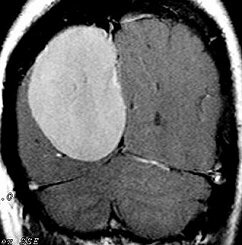 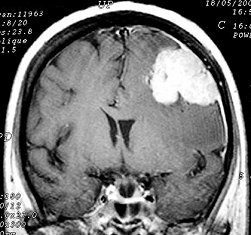 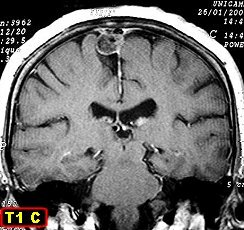 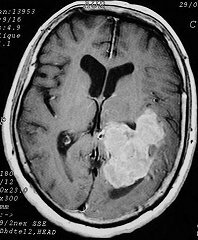 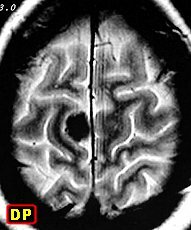 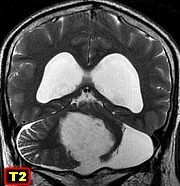 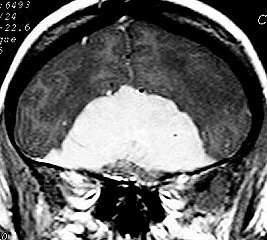 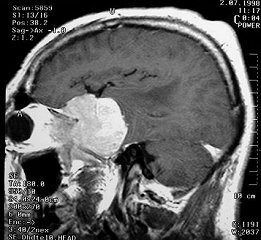 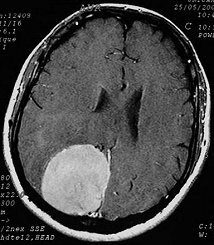 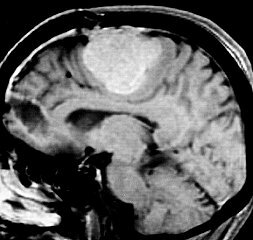 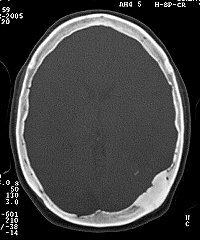 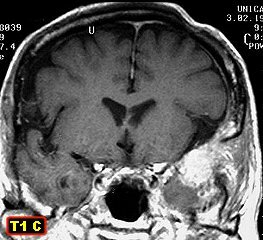 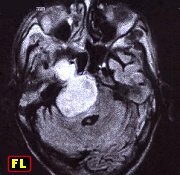 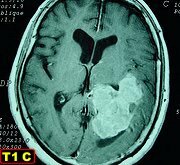 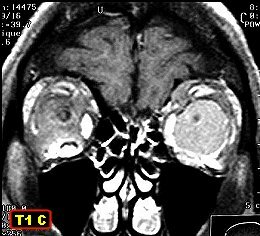 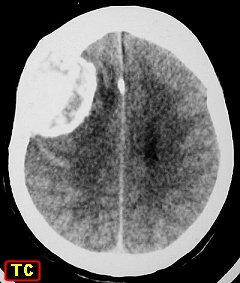 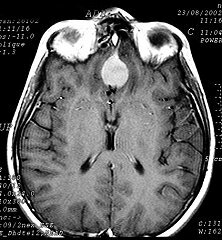 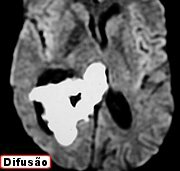 F. 29 yr. Complex meningioma combining rhabdoid, papillary and clear cell patterns F. 75 yr.
meningioma with hyperostosis and brain compression (MRI Feb 2008) Same, 4 years later. 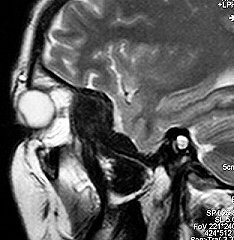 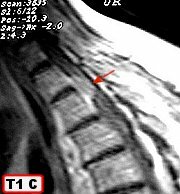 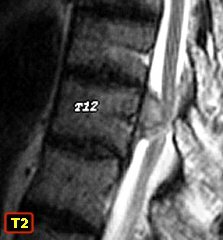 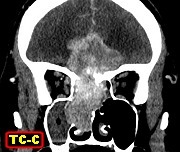 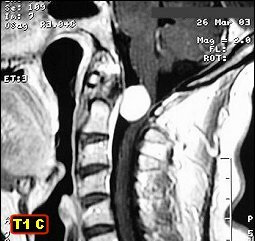 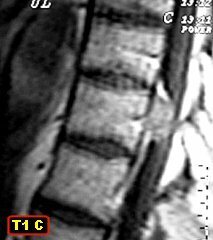 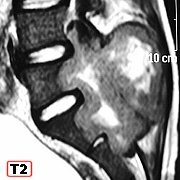 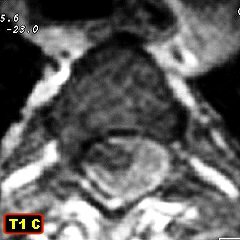 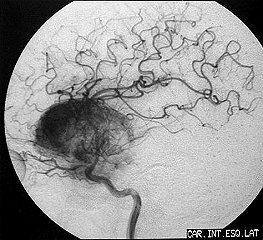 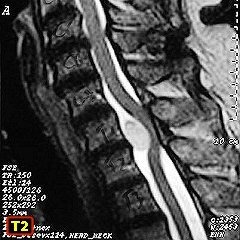 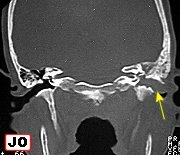 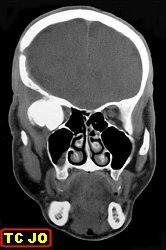 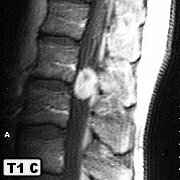 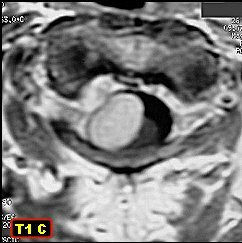 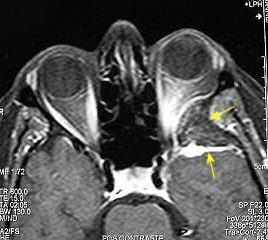 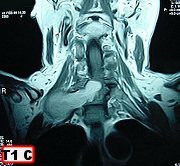 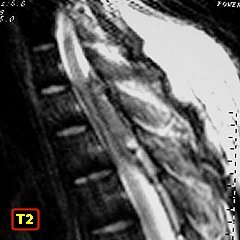 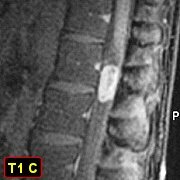 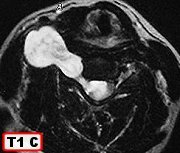 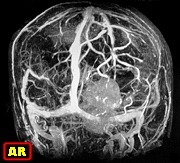 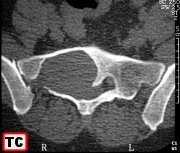 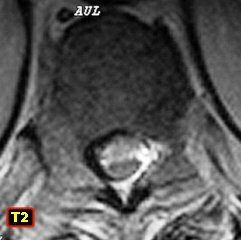 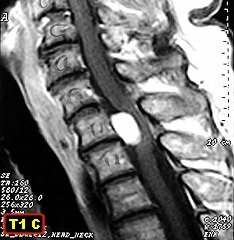 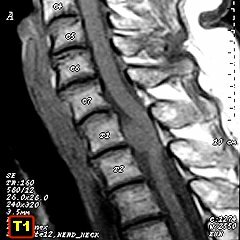 Epidermoid cyst of posterior fossa Epidermoid cyst of right choroid fissure M. 33 yr. Epidermoid cyst of right choroid fissure and arachnoid cyst of posterior fossa. 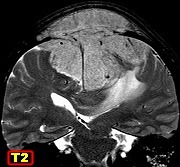 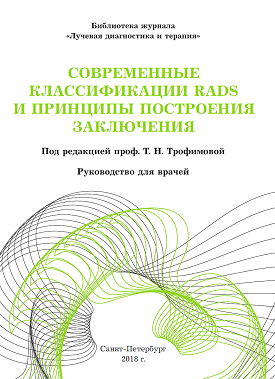 Text M. 25 yr.